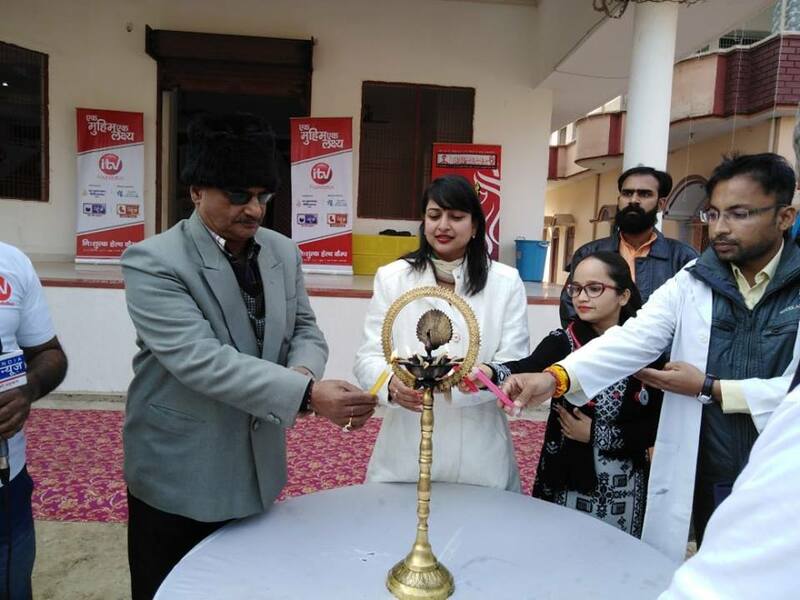 The health camp was inaugurated by Dr. SM Sahay, Chief Medical Officer, Bhadohi, Dr. Ritu Garg, Director, Santushti Hospital and Mr. Prahalad Das Gupta, Chairperson, Municipal Corporation, Gyanpur. The medical partner for the health camp was Santushti Hospital and Sir Sundar Lal Hospital, Varanasi which provided a team of specialized doctors, nurses, medicines and other medical equipments like machines for monitoring blood-pressure, sugar and E.C.G. Along with the volunteers of iTV Foundation, a team of Varanasi based organization “Aagman” also supported and managed the on-ground activities on both days of the health camp. The initiative is an evidence of iTV Foundation's commitment to provide quality medical care and financial assistance to the economically disadvantaged sections of the society. A specialized team of doctors and trained nursing staff did thorough health check-ups of the patients and also provided free medicines to the patients.